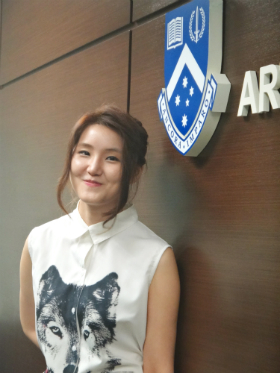 “I’m an opportunity maximiser,” says Monash University Malaysia School of Arts & Social Sciences alumni, Jihye Choung. “I always seek challenges, I don’t like to work in a passive manner.” The Bachelor of Communication graduate shares how her bold approach has led her to link up with academics, politicians, and even the Korean Foreign Ministry. She also speaks on how Monash has provided her the opportunities to launch her career. 2. Where are you working / studying presently, and describe your general work scope. Currently I’m working on my PhD in energy security in Moscow, Russia. So now I’m trying to pick up Russian! I was the chief researcher in the Korean Embassy in Sri Lanka, mainly researching and analysing the political and economic situation for the Korean government’s Economic Cooperation Development Fund projects. I was also involved with the cultural division where we do public diplomacy events. 3. Why did you choose to study at Monash University Malaysia? My friends and my pre-university program lecturers gave me good feedback about Monash. I was actually a science student during my pre-university days, but was always interested to explore media-related fields. My parents wanted me to pursue Medicine or Business/Accounting because my mum owned a business. They wanted me to do the ‘usual’ degree, but I insisted that Communications would be a ‘usual’ degree when I graduate. As a lot of people think it’s difficult to get a job with an Arts degree, it took a lot for me to convince them. 4. Describe your study experience at Monash University Malaysia. In the first year, I struggled because my English wasn’t as fluent and I was from a Science academic background. However, I also really enjoyed being challenged. Apart from that, one of the most important skills gained was developing the ability to think critically. For example, after I graduated from Monash, I was working in a private education institution in Korea where I was the youngest employee with colleagues who were 20 years older, and I got paid 10 times higher than a fresh graduate. I had to go through 6 interviews for the job, with the final one being a chat with the CEO. I told him honestly that I didn’t have any experience. When asked how I can contribute to the company, I very confidently said that through my internship experience, I can think and analyse things faster than the others and I can prove that. I believe it is all about critical thinking. You need to have a certain logic where different ideas are scattered around and you have to link them; finding out possibilities and weaknesses and forming a whole new body of information. I believe that was what got my the job. 5. What advice would you offer to the current students on how to succeed in university? I did many internships - in an advertising firm, in a broadcasting centre, translating medical textbooks and journals and in an event management company. Every semester break I had, I took a job to find out which ones suited me. When you are a student, you tend to only have a vague idea of a job or a career, so internships definitely help. Also, keep trying to find opportunities. I was accepted for an internship in the Korean Foreign Ministry in my final year of university. I just wrote them an email detailing my availability, qualifications and what I had done with my previous internships. I asked if they had any available jobs or if they were planning to have an intern, whether they could let me know. They didn’t have vacancies - I just wanted to try. I still do send out random emails to writers, politicians or academics, especially when I have read their books and if I had any questions for them. It’s the open source concept nowadays; you can email them, Facebook them, Twitter them. Surprisingly, they are very happy to reply. Some of them I met personally, and they were very eager to help. So do not be afraid to ask questions - this is what Monash has taught me. 6. What single experience from your time at Monash University Malaysia stands out? I acted in a short film (directed by a student). We had a multimedia room where students could learn and participate in producing radio shows and films. So it gave us an experience of what we could be doing in the future.